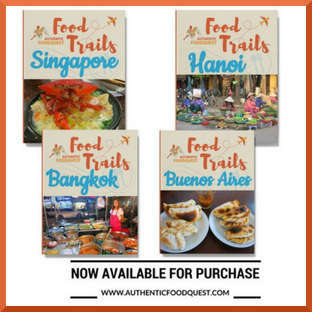 Manila was our first city on our quest to authentic food in Southeast Asia. As soon as we landed we were struck by its contrasts. You will find luxurious neighborhoods with glittering towers just a few blocks away from urban slums. This contrast is also prevalent in its food. We discovered balut, the local specialty on the streets and got a feel for the local food in the Philippines. 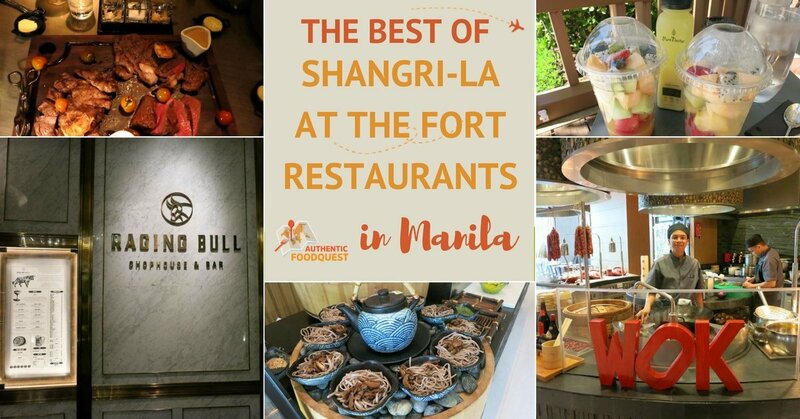 And, we also had the opportunity to experience a luxurious dining and stay at Shangri-La at the Fort while attending the TBEX Asia 2016 conference. 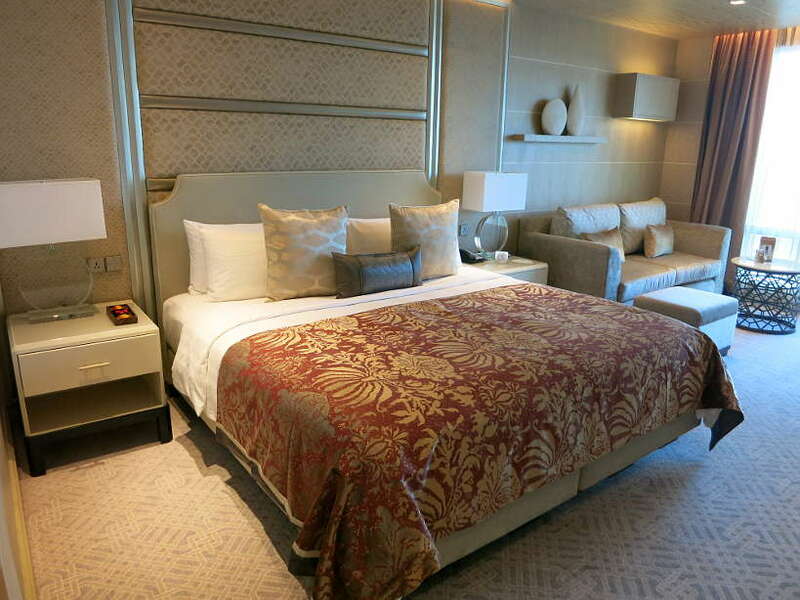 Ever wonder what a luxurious dine and stay looks like in a top Asian hotel? Read on to indulge in exquisite Filipino service and international food at the Shangri-La at the Fort restaurants. Shangri-La at the Fort is located in one of the most trendy and luxurious neighborhoods of Manila called BCG. 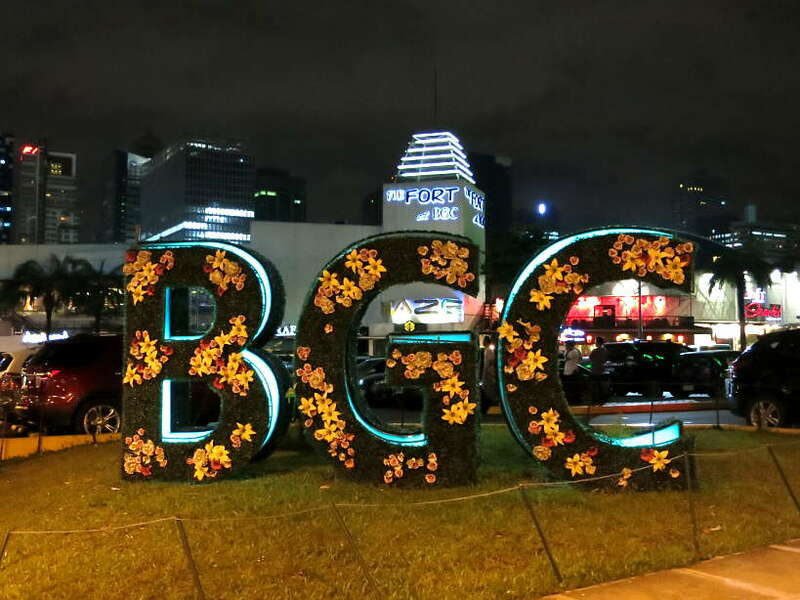 BCG which stands for Bonifacio Global City is the new financial district of Manila. You will find many trendy restaurants, high-end retail stores and malls. The Shangri-La at the Fort had been opened 8 months prior to our stay in October 2016. At the time of our visit, the luxurious hotel had four operating restaurants and was about open its fifth restaurants. 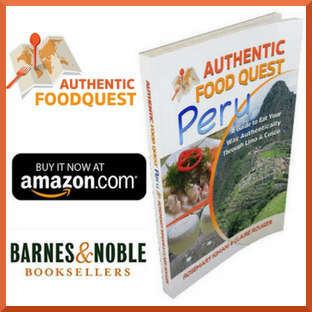 The range of restaurants varies from more casual settings to gourmet fine dining experiences. One the first floor is the High Street Cafe, which offers all dining buffet style breakfast, lunch or dinner from nine different stations. On the fourth floor, next to the impressive Kerry Sports fitness center and the swimming pool, is the Upper Deck. Here you will find snacks, quick fixes for lunch and dinner and a variety of beverages. If you are craving for a good steak, stop on the third floor at the Raging Bull Chop House for premium quality meat in an upbeat U.S. style steakhouse. 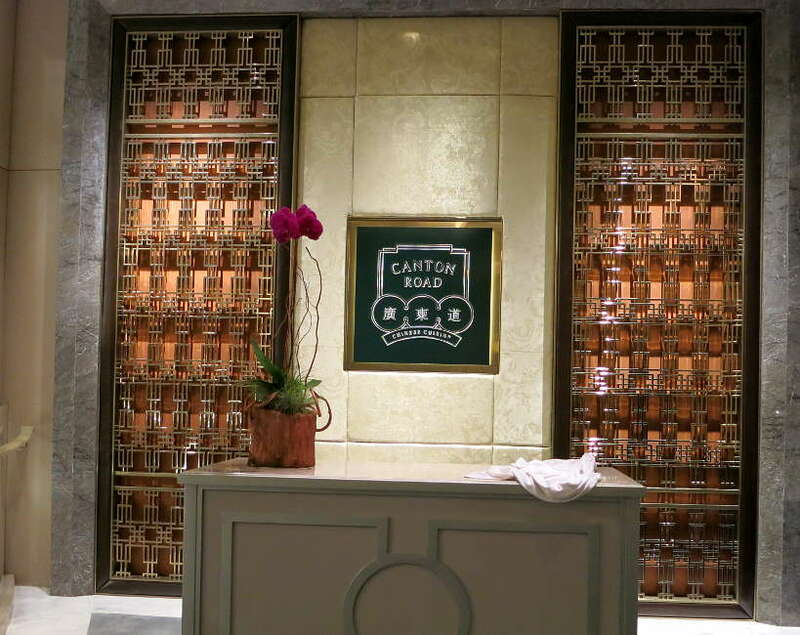 Next to Raging Bull, experience Canton Road for prime Asian dining with a mix of traditional and modern Chinese cuisine. And finally, Samba, the latest addition to the Shangri-La at The Fort restaurants options. Located on the 8th floor, with outdoor and indoor seating, the restaurant offers stunning view of the BCG district. Not opened at the time of our visit, Samba now offers a cuisine influenced by the flavors of Latin America and the Philippines. 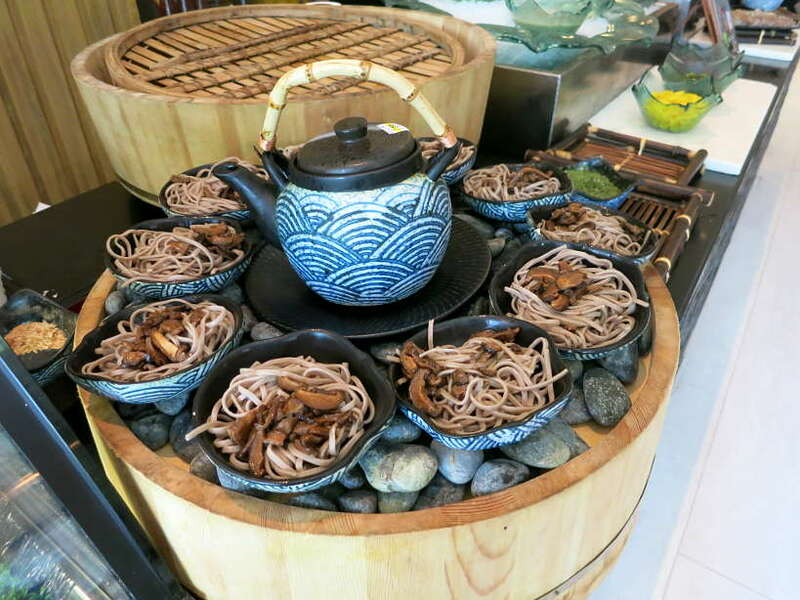 So let’s take you through the local and international flavors at the Shangri-La at the Fort restaurants. 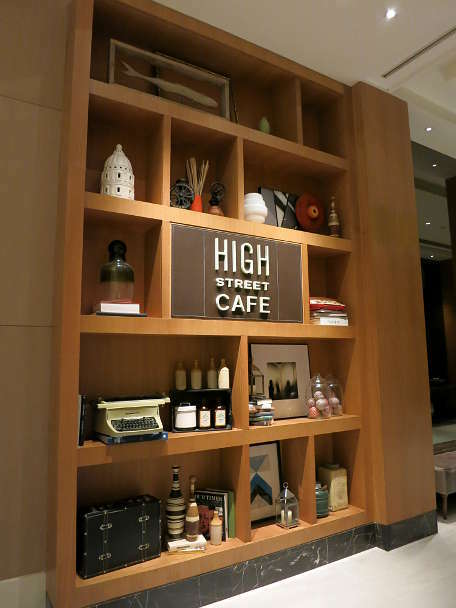 The High Street Cafe is the Shangri-La’s all day dining restaurant and the best place to start with your day. The breakfast selection is extensive with several options to choose from. For a Western style breakfast, have can your eggs freshly prepared any way you like. 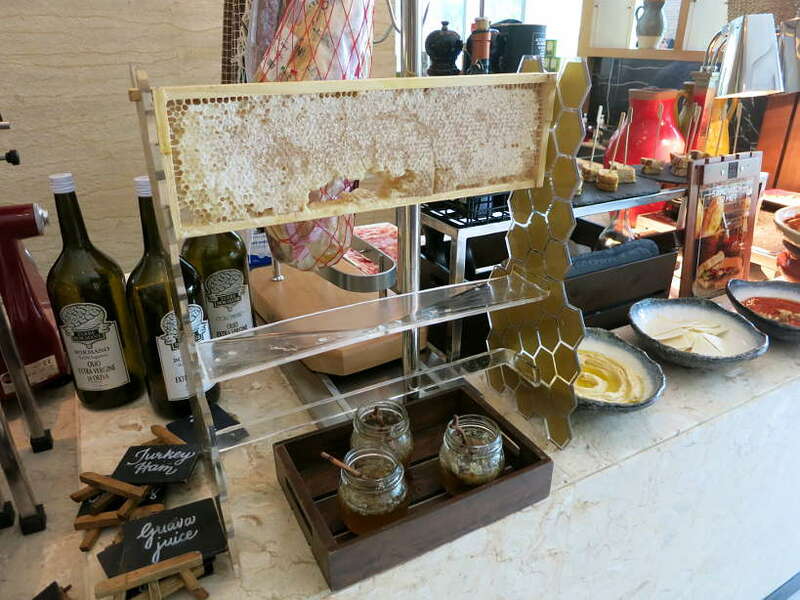 Find an assortment of croissants and bread and finally top your bread with fresh honey directly from honeycombs. The international breakfast selection is just as tempting. From Asian dim sum, noodle dishes to traditional Filipino sausages and pastries, you have a wide selection of international flavors to choose from. 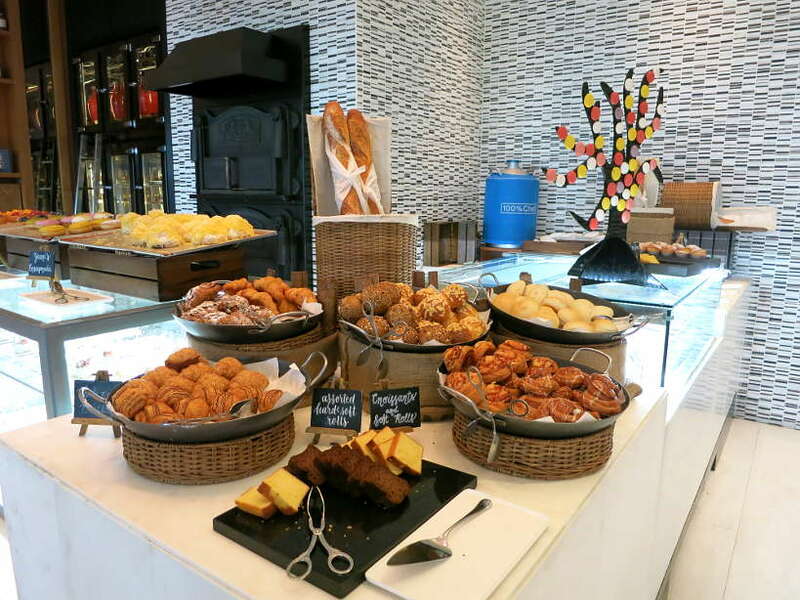 At the nine different food stations or neighborhoods, breakfast is an international affair at the High Street Cafe. The Upper Deck restaurant is located on the swimming pool level, which is part of Kerry Sports, the largest fitness center in Manila. This breezy outdoor dining area is great to grab a post-workout meal or have lunch before dipping into the half-olympic, 25 meter outdoor lap pool. On the menu are healthy salads and gluten-free options as well as more decadent delights like burgers, hotdogs and potato wedges. Just like the food options, the beverage selection ranges from healthy juices to cocktails, wines and beers. 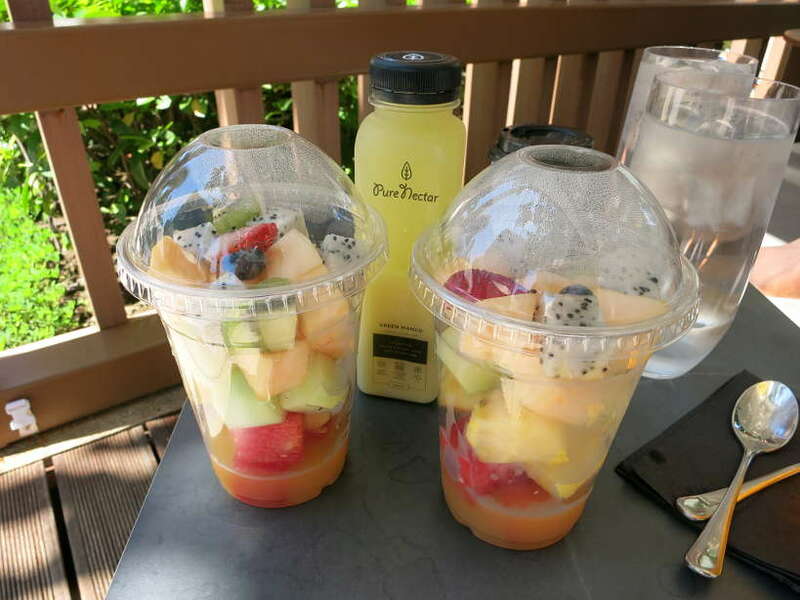 Seeking something tasty yet on the healthier side, we started out with seasonal fresh fruit and pure mango juice. Lunch consisted of a flat bread and fish tortillas. 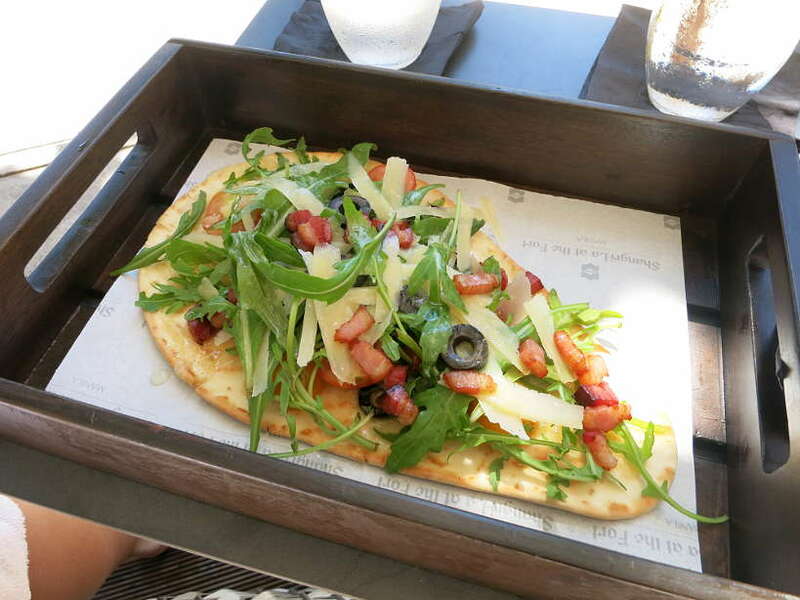 Light and fresh, the flatbread was topped with cherry tomatoes, cheese, pancetta, olives, oregano and arugula. 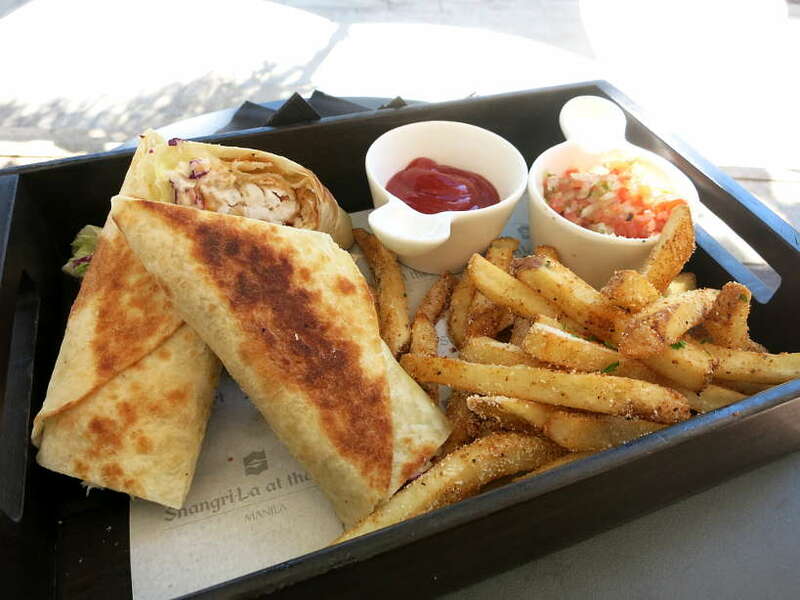 The fish tortillas were served in a soft tortilla with cabbage salad and a tomato coriander salsa. This came with potatoes wedges and a dollop of ketchup. Both were incredibly delicious, though we preferred the flatbread. The best part about the Upper Deck experience, is the poolside eating experience. The open space with the umbrellas and private cabanas, makes it the perfect place to spend an afternoon. One highlight of the Upper Deck experience was the exceptional service. 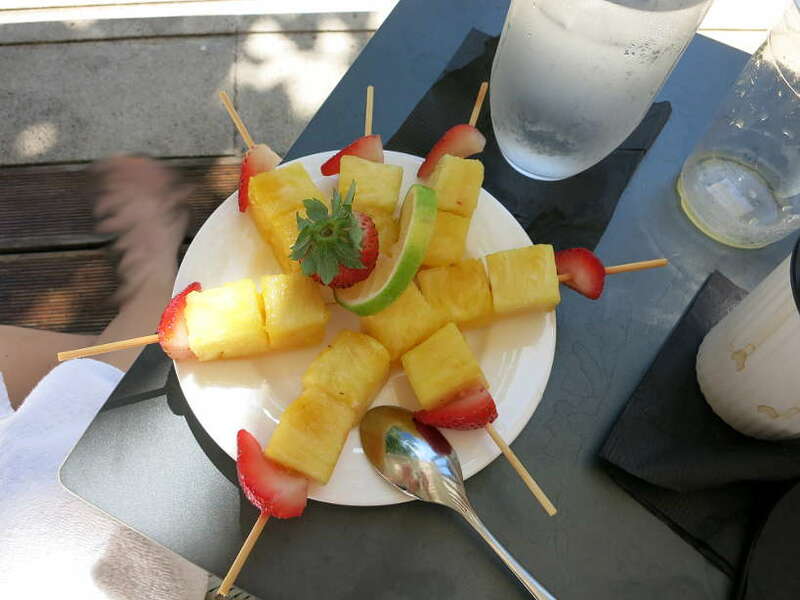 To keep cool from the Manila heat, the staff regularly brought water and gave out plates of freshly cut pineapple slices for free, to everyone in the pool area. An exceptional outdoor venue with phenomenal service. For high quality beef sourced from sustainable farms, the Raging Bull more than delivers. You can choose from a wide selection of different cuts of grain and grass-fed dry-aged beef. To start your meal, you want to try one of the unique cocktails from the French born Head Mixologist. While we are not huge cocktail drinkers, we were tempted by the fancy names like Take Madame To A Bubble Bath and the El Toro Loco cocktails. Take Madame To A Bubble Bath is a sprizty gin based drink with fresh thyme, grapefruit and bubbles. And, the El Toro Loco is a 1800 silver tequila drink with fresh cucumbers, Agave nectar and lime juice. These are the kind of cocktails that can turn non-cocktail drinkers like us into fans. 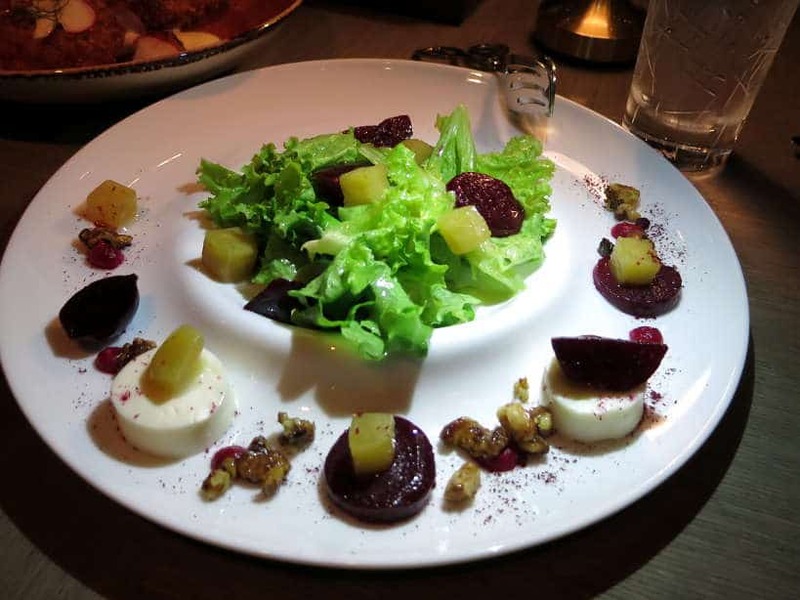 The beetroot salad with goat cheese and honey glazed salad, was pretty to look at and a light start prior before digging into the steaks. At the Raging Bull, no details get overlooked. 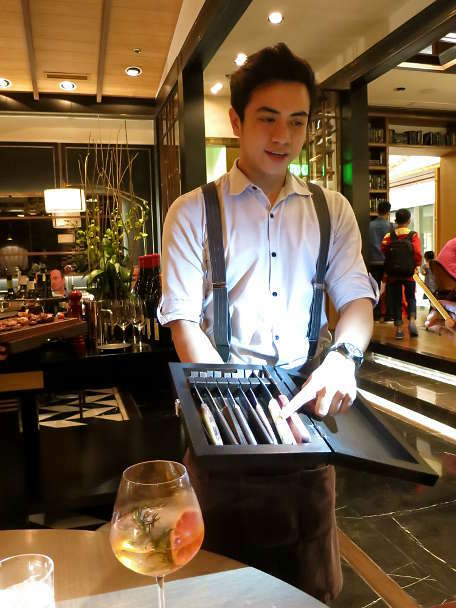 This was the first time ever we had a server present a variety of steak knives to choose from. 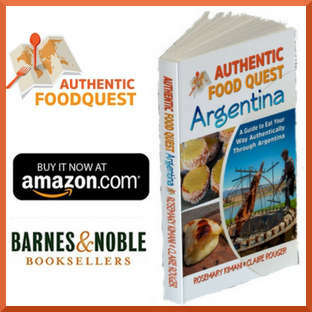 Having eaten at several steakhouses around the world including in Argentina, the beef capital of the world, we’ve never have had to choose our own steak knife. After the server entertained us with stories about the different knives, we went with the Napoleon Bonaparte knives, paying tribute to our French heritage. Served on wooden cutting boards were three large slabs of different cuts of beef. Surrounding the steaks were different salts and sauces to enhance the flavors. We had a Cape Grim pasture fed Tenderloin, an 1824 grain fed Rib Eye and a David Blackmore Wagyu 9+ grade grass-fed Victoria striploin. This was accompanied with a side dish of Duck fat wedges with fontina cheese and prosciutto. The steaks were amazing. Naturally tender and flavorful, they were all prepared to perfection. 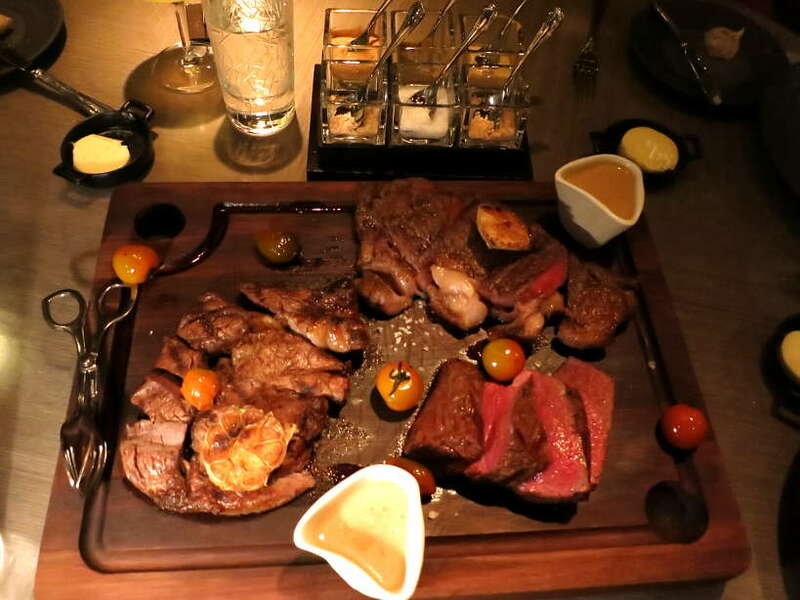 We particularly liked the tenderloin and the striploin, which were aged for tenderness and melted in the mouth. The rib eye, while tender was on the fatty side. 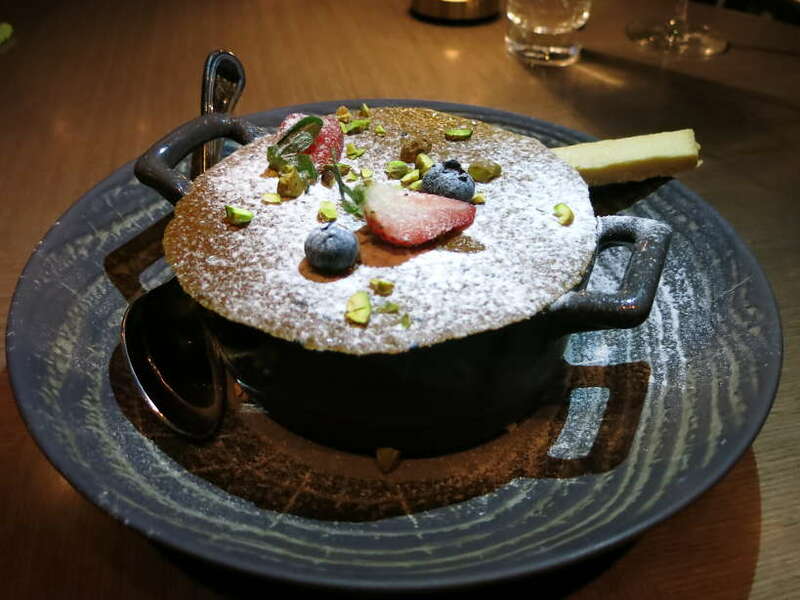 To end the meal, we closed with one of the signature desserts, Pistachio Creme Brulee. This enjoyable creamy dessert combines pistachio creme with a mint infused strawberry salad. When you break through the caramelized crispy top the mint strawberry salad cuts the sweetness making it a really nice treat. This dessert is on the heavy side, so plan on leaving a little room or sharing this exquisite delight. Not only will you have plenty to delights from the Shangri-La at The Fort restaurants, you will also find personal treats waiting for you in your room. 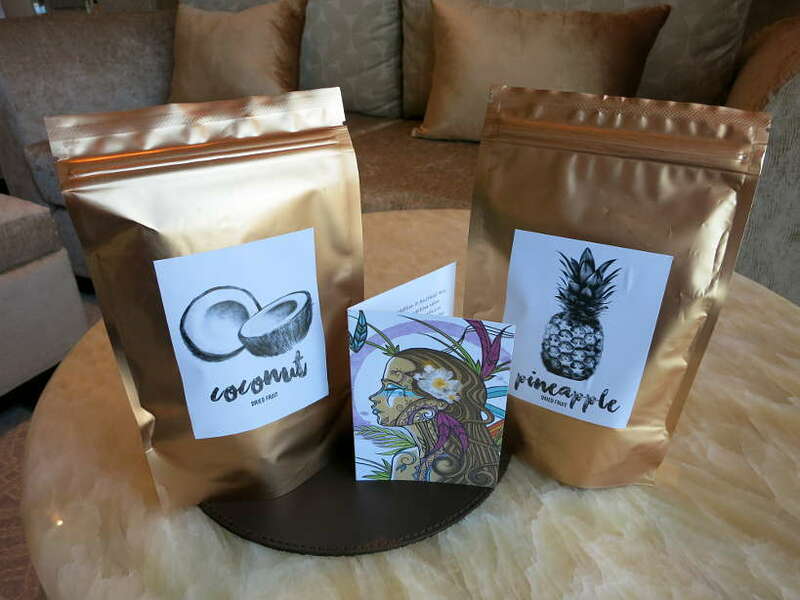 We stayed in a spacious Deluxe Room where we were welcomed with delicious dried coconut and pineapple fruits. 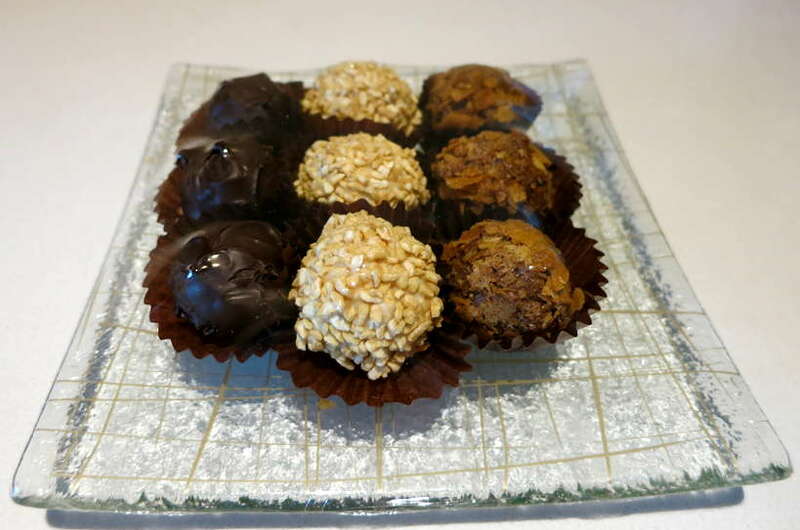 To satisfy any chocolate cravings, you’ll find a plate of chocolate sweets that will transport you to chocolate heaven. Here is a look into our Deluxe room taken in 360 degree video. Use your mouse to scroll around and get a taste of the luxury that awaits you. At stay at the Shangri-La at the Fort is an oasis in the bustling city of Manila. Experience a new level of luxury and enjoy exceptional dining experiences at the Shangri-La at the Fort restaurants. When staying at the Shangri-La at the Fort, you will discover a wide array of international cuisines. From gourmet Asian dining to vibrant Latin cuisine, the dining options are bountiful. Coupled with amazing Filipino service and attention, you are certain to relax and enjoy your time at Shangri-La at the Fort. To book your stay and reserve your table at one of the Shangri-La at the Fort restaurants, call or book directly on their website or through our partner websites at Agoda.com or Booking.com. 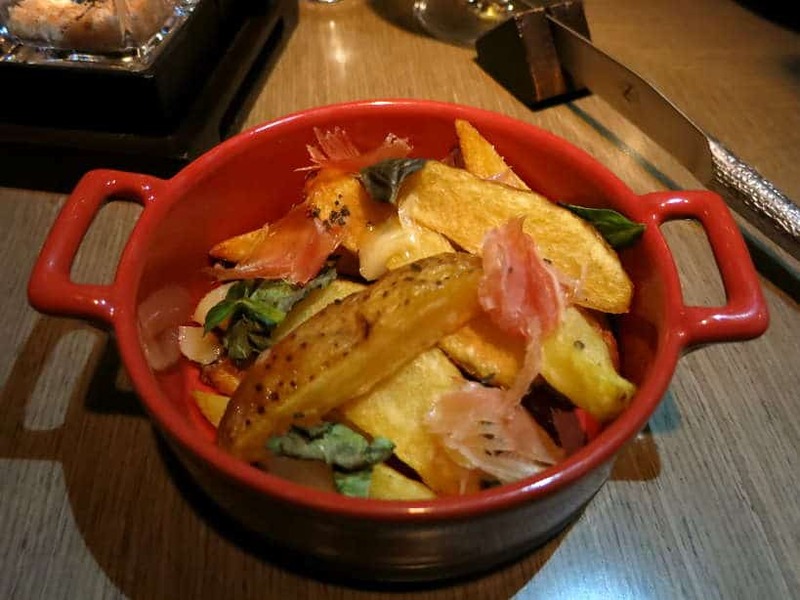 Have you had an amazing gourmet dining experiences at a hotel? Tell us in the comments below, what made your experience exceptional. 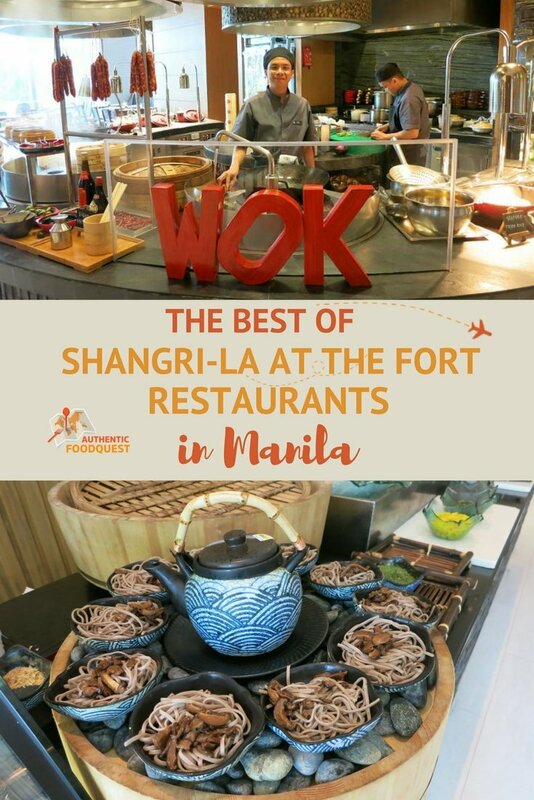 Our stay was provided by Shangri-La at The Fort, Manila Philippines in order to bring you this story. As always, all thoughts, and opinions are entirely our own, full stomachs and happy bellies too! This article contains affiliate links. 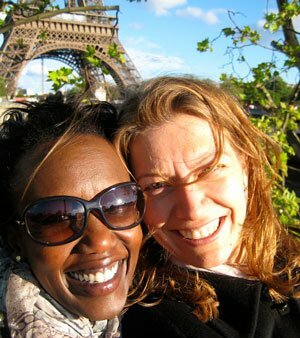 When you book on Agoda.com or Booking.com our affiliate sites, we earn a small commission at no additional cost to you. 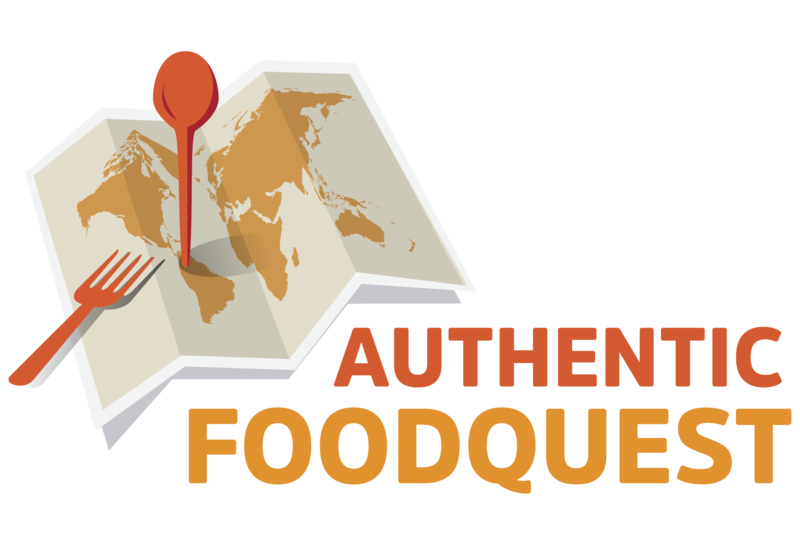 It just helps us keep things eating our way around the world at Authentic Food Quest! 🙂 I travel to Manila regularly for work. Since work pays for it, and they’re picky about safety and stuff like that, I have had the pleasure of being familiar with 5 star Philippine service. 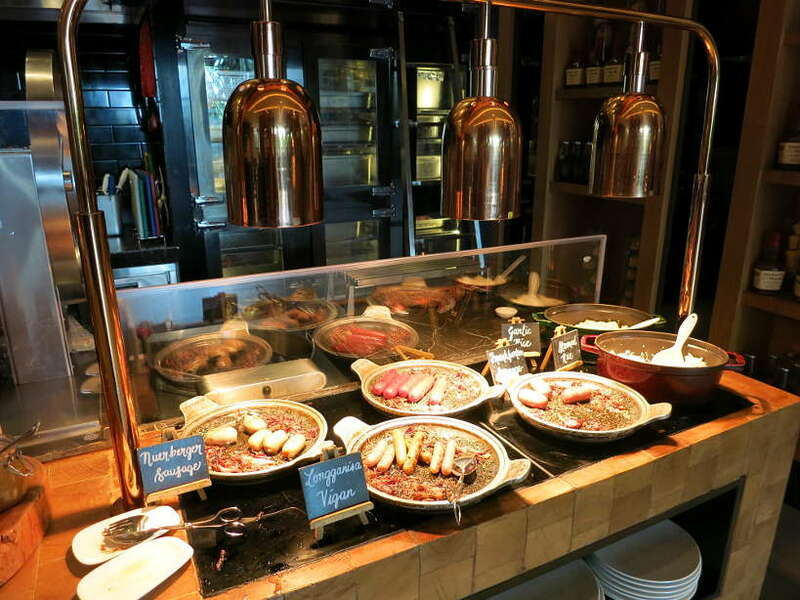 SE Asia just in general has incredible buffets and service at the higher end hotels, you must be having a ball! Thanks, Nuraini and you are right the service in the Philippines is outstanding and friendly. On your next trip to Manila, stay at the Shangri-La and be prepared for a luxurious experience. Safe travels!! Well this made my mouth water! Probably should not have read it on an empty stomach. 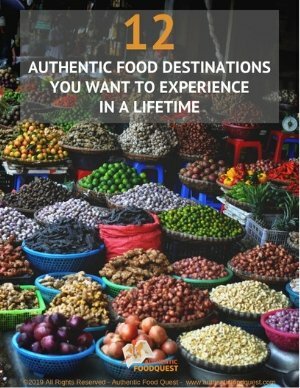 I didn’t know that Manilla had such great places to eat. I’m pinning this for a future trip, thanks for the great post! Awesome Katherine and great to hear you enjoyed the article. Yes, Manila does have a lot of wonderful places to eat. The Shangri-La offers one of the best experiences. It is certainly worth visiting on your trip to the Philippines. Thanks for stopping by. It sounds like your really enjoyed your trip! Looks delicious! Ahh the pictures are gorgeous and makes me want to dig right in😂 And that pool? WOW! Makes me want to stay in Shangri-la too if I ever got the chance to visit Manila. Thanks for stopping by. 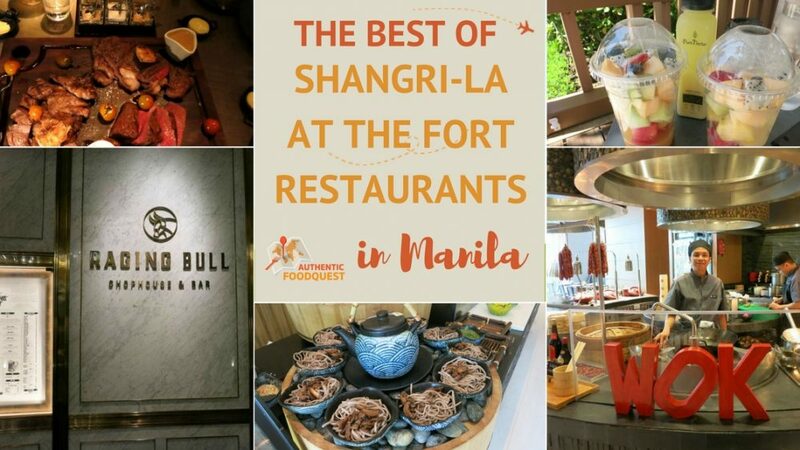 A trip to Shangri-La at the Fort is a must for your visit to the Philippines. Cheers! This all looks so delicious! It also looks like it is made with high quality. The cafe reminds me of a similar coffee house that I went to in Thailand. I’m hungry after reading that delicious article. The Shangri La never disappoints for great food all around the globe. 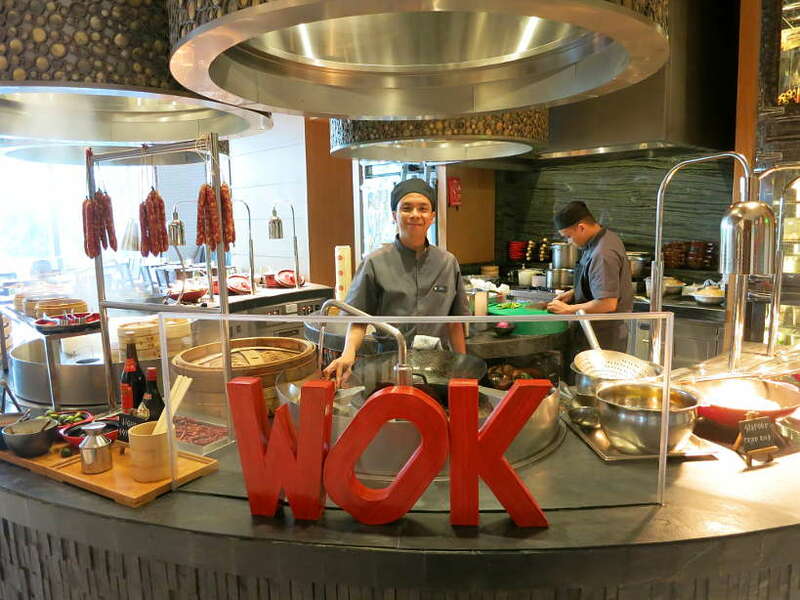 I love the idea of a wok and noodle station! Also, Manila is a prime beef lover’s dream haha, thanks for the great recommendations! One of the great things about the Philippines is their friendly service. While we did not look for vegan options, I’m certain any of the restaurants at the Shangri-La at the Fort could accommodate any of your dietary needs. You’ll have plenty of restaurants and food experiences to choose from 🙂 Cheers. Beautiful place! I’ve actually only been to the one in Edsa but I’m sure the quality is just as good as the one in the fort. Those desserts looked so good!!! 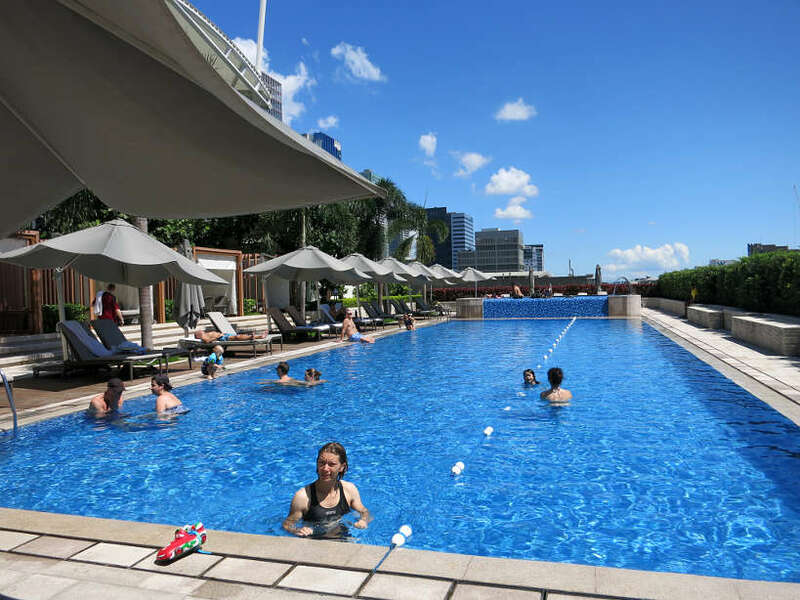 This was actually our first experience at a Shangri-La and we were totally blown away by the place, amenities, and service. I’m certain the level of service at the Shangri-La is consistent worldwide. Great experience overall!! Amid all the delightful choices Claire, I’d be all set with the mango juice and the seasonable fresh fruit. I love the fresh fruit selections in SE Asia, from mango, to passion fruit, to rambutan, dragon fruit, and yes, I even like the dinky little, non-Cavendish bananas that a Cambodian dude once told me were “crap” LOL. I dig the fruity flavor to the little things. Even though it seems a bit off compared to its bigger cousins. Agree with you Ryan, the fruits in Southeast Asia are delicious and full of flavor. The seasonal fruits were a great start to many delicious treats at the Shangri-La at the Fort. Thanks for stopping by.